September | 2012 | Open Source Enterprise ! Takeout all your data from Google Contacts, Videos and Pictures ! Google has releases its new features called Google Takeout that allows you to download all your data including Contacts, Videos, Pictures and Profile. Visit https://www.google.com/takeout select the service from which you would like to download all your data and confirm the download, It will also inform you by email in case if it took more time to prepare your download specially while downloading the videos. We post a lot of content on the Internet, whether they be tweets on Twitters or pics on Flickr. We also upload a lot of videos on YouTube, but is there any way to get them back? Now you can with something called Google Takeout and prove that there is no-locking in Google’s service.. Yesterday 27th September 2012, Ubuntu has releases its 2nd beta version of Ubuntu 12.10 (Quantal Quetzal), I didn’t get time to review 1st beta version but after my review for the 2nd beta i would just say “Its amazing…”. It bring lots of changes in terms of Apps versions, Preview feature, Integration with Online shopping, Online Accounts, and specially cloud storage which is a new menu they included. How to create a bootable USB stick for any operating system ! Now a days its normal to have laptop without dvd drive, specially those mini laptops and ultrabooks. To replace an operating system or install an operating systems on those devices USB installer is the best and fastest way. 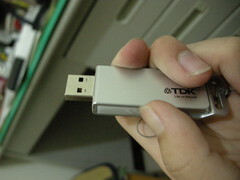 It is very convenient to create an bootable usb drive for any operating system. I am going to show you the possibilities to create a bootable usb key under Windows and Linux as well. To run Ubuntu from a USB stick, the first thing you need Ubuntu ISO and USB stick with at least 2GB of free space into your PC. Cloud based development platform – CodeRun Studio ! CodeRun Studio is a free service. Try It Now or visit http://www.coderun.com/ for more information ! The Open Source Development Environment for .NET is perfect choice for the companies those who want to save the cost for license of Visual Studio development environment. Want to know how SharpDevelop compares with Visual Studio Express? Take a look at a feature by feature comparison.